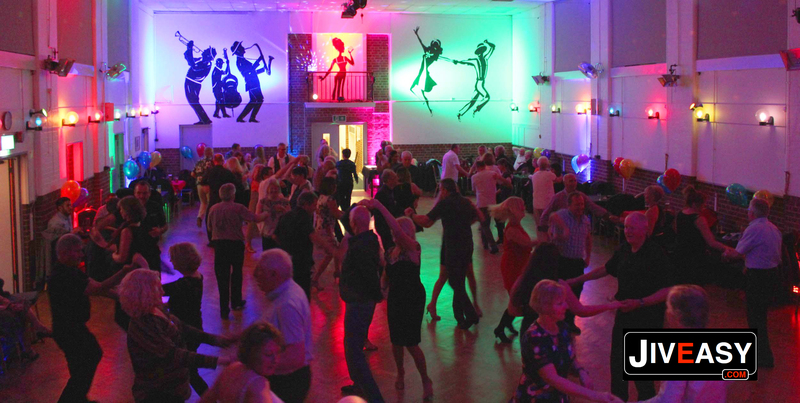 Learn to Dance with JIVEASY® - our brand of modern jive, also known as Leroc, one of the UK's fastest growing and most popular partner dances. Modern Jive is a dance style derived from swing, lindy hop, rock and roll, salsa and anything else that fits uplifting music, from the 1940s, to today's latest hits. To find out more you can check out Wikipedia's modern jive page. You don't need to have a dance partner to come to our classes and you don't have to wait until the weekend to enjoy a good night out! The Jiveasy Team bring their distinctive style of teaching and sense of fun to your midweek nights. also Freestyle dances at Portchester, Titchfield and Havant. Browse the rest of the Jiveasy.com website for more information on our midweek night classes and other modern jive related activities that we offer.